Fact: a year is quite a long time. Twelve months, 365 days, 525,600 minutes full of ups and downs and new things happening every second. How do you encapsulate an entire year into one word? Every year, the Oxford English Dictionary does just that: find one word that sums up the previous 365 days, as well as create a shortlist of the runners-up. Eastside delved in-depth to explore the meaning of the chosen word, and how it can relate to the East community. Check out some of the past words of the year! Quiz: Are you in a Toxic Relationship? On September 28th, the Food and Drug Administration paid a surprise visit to Juul Labs’ headquarters in San Francisco as part of its investigation into what they say is Juul’s unlawful marketing of its product to teens. But to anyone who has been following the FDA’s ongoing investigation of Juul and the e-cigarette industry, the inspection was extraordinarily well-deserved. The FDA claims that the emergence of the e-cigarette industry (which is led in market share by Juul) threatens what had been successful public and private campaigns to wean teenagers off of the addictive and dangerous chemicals in traditional and electronic cigarettes and “end the tragic cycle of successive generations of nicotine and tobacco addiction,” according to FDA commissioner Scott Gottlieb. It is evidently a national issue, yet e-cigarette usage hits just as hard in Cherry Hill, as the toxic behavior of “Juuling” has increased exponentially in recent years and presents East and its students with a slate of dangerous effects. Juul Labs was founded as a company that, at its heart, was designed to help people. Yes, its signature product, a Juul, contained nicotine, but by removing tobacco from the product a Juul was supposed to be a safer alternative to smoking a traditional cigarette. However, contrary to popular belief, “hitting” a Juul has little to no advantages over smoking cigarettes and may even be worse for one’s current and future health. For starters, the stated purpose of creating Juul isn’t holding water. If Adam Bowen and James Monsees, the founders of Juul Labs, wanted to help reduce traditional cigarette usage, why are non-smoking adults four times more likely to smoke traditional cigs after 18 months of vaping (an overarching term for usage of e-cigs)? Additionally, Juul Labs seems to downplay the amount of nicotine in one of their “pods,” the small cartridges that make a Juul work. Many would be surprised to hear it is equivalent to a full pack of cigarettes. While smoking a pack of cigarettes a day is considered at the top level of usage, Juul users can go through more than a pod a day, potentially exposing young, malleable brains to extremely dangerous levels of nicotine. But it is not only the amount of nicotine in a pod; the type of nicotine in Juul pods is more dangerous than in other common vapes. Nicotine salts, the form in use by Juul, is more readily absorbed into the bloodstream and produces a less harsh vapor that, in totality, allows users to consume more nicotine in one sitting than otherwise possible. Overall, there is concrete evidence that Juuling has toxic effects on a user, even more so than cigarettes in some cases. Therefore, it would be in the best interest of all users to to eliminate the practice from their routine as soon as possible. Juul’s influence extends far past the somatic; the vape culture that has arisen as a result of the Juul’s rise to prominence affects schools and communities too. If consumed during adolescence, nicotine stunts brain development, a dangerous revelation to schools that rely upon individual grades and standardized test scores to rate teachers. On a more societal level, since there exists an 21 years or older age restriction on buying a Juul or Juul pod, there is an increased exposure to the black market and a more criminal enterprise than many underage smokers realize they are opting in to. Additionally, when Juul was founded, it was seen by investors and claimed by its founders as anti-Big Tobacco, an industry that has faced fierce government resistance and pushback from private groups for its marketing and safety of its products. But Juul sold out when Altria, the maker of Marlboro traditional cigarettes, was allowed to purchase a 35% stake in the company. How can a company claim it is anti-Big Tobacco when it sold more than a third of itself to one of biggest cigarette producers in the world? Juul has an influence on the state of society and the individuals who make it up way beyond the reach of their product, a fact that society needs to remedy with as much haste as humanly possible. There is no word in the dictionary more apropos to defining Juul than “toxic”. When it is defined as “poisonous,” this word comes to represent the dangers of infecting both the human body with the toxins inherent in a Juul or Juul pod, in addition to how Juul’s tentacles are slowly reaching out to influence everything from academic performance to the economic makeup of a major industry fighting to stay relevant. With the toxicity of Juul now clear, it is up to society to take charge and excise it for the benefit of every user. 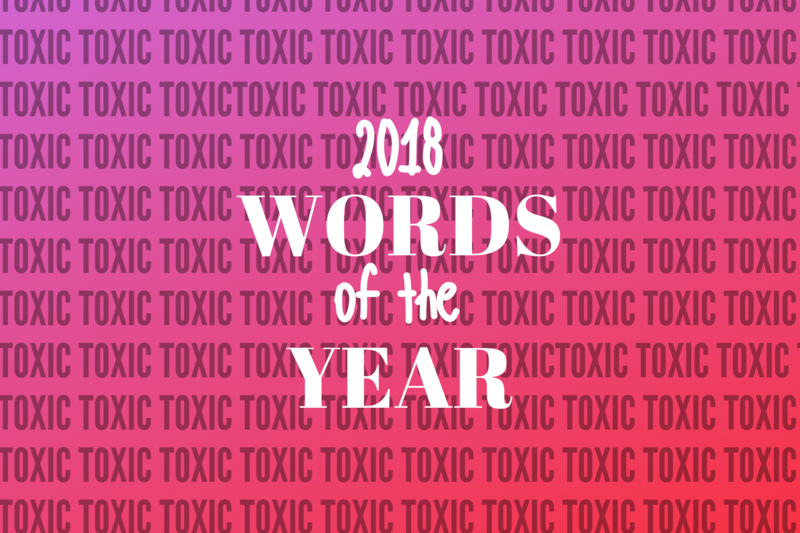 Video: What do you think of when you hear the word toxic? Poll: What are East’s words of the year?